Professional athletes rely on platelet-rich plasma therapy to heal faster; they know it’s the best way to successfully treat injured tendons, muscles and tissues to get them back into the game. But for those who are not aware of or familiar with PRP therapy, there probably are a number of questions. Here are some questions, and some basic answers, for you to discuss with your doctor to determine if PRP therapy is right for you. Like red cells and white cells, platelet-rich plasma is a component of your blood. Platelet-rich plasma– PRP – therapy – is a form of regenerative medicine that involves extracting a small amount of your own blood, processing it, then reinjecting it back into the injured or diseased part of your body to jump start your natural healing system. What is the difference between PRP therapy and Stem Cell therapy? PRP is obtained from a patient’s own blood, processed in a high-speed centrifuge to render a higher concentration of growth and healing factors, then injected into the injured part of the body where the process of tissue regeneration begins. Stem cell therapy, on the other hand, is derived from non-embryonic stem cells are also taken from the patient’s body; but these adult stem cells are used to replace and repair damaged and/or injured tissue (and muscles, tendons, ligaments, bones, and cartilage), allowing for natural healing. The difference between the two is that PRP therapy helps restore and/or hasten the healing process, whereas stem cell therapy is used to replace tissues that have been damaged or destroyed. When it comes to pain management and healing, PRP therapy is probably your best bet. PRP therapy is a very safe procedure that requires no anesthetic or downtime. But because everyone’s medical history and conditions are different, some patients may experience pain or swelling at the site of injection. When you do discuss PRP therapy with your doctor, be sure to disclose every health concern and condition, as well as any personal concerns you may have. Doctors often recommend PRP therapy as part of a total pain management regimen that may include stem cell therapy, physical therapy, medications, etc. Talk to your doctor about whether PRP therapy is the only treatment you will need to treat your medical condition and whether other forms of treatments may be necessary in addition to PRP therapy. Depending on the type of medical condition you are seeking treatment for, you may need multiple session of PRP therapy for positive and effective results. Ask your doctor about how many PRP therapy sessions are recommended and at what intervals should you get the treatments (i.e., monthly, bi-monthly, quarterly, etc.). Am I good candidate for PRP therapy? Your doctor may recommend PRP therapy if you have an orthopedic condition or injury that hasn’t responded well to physical therapy and other routine protocols like rest, ice, compression and elevation. You also may be a good candidate if you are sensitive to or prefer not to take anti-inflammatory medication. Since PRP therapy is considered a non-invasive treatment, many who do not want or are not good candidates for surgery also might find PRP therapy a good alternative treatment to repair injury and pain management. Who is not considered a good candidate for PRP therapy? While PRP therapy is extremely safe, you will need to tell your doctor if you have had cancer that has been in remission less than five years. Your doctor likely will advise against the procedure if you have any blood conditions such as anemia, HIV, or hepatitis. If you have had any recent infections, your doctor will ensure you are “all clear,” and will advise against treatment if you are on any blood thinners such as Coumadin. Also, you will need to disclose any neurological conditions such as cerebral palsy, Parkinson’s Disease or ALS. How much time do I need off from work or other commitments? Depending on the specific health condition you are treating, PRP therapy may or may not require you to take a couple of days off from work. Some patients can return to their daily routines immediately following the appointment. Some patients need some time to relax. Ask your doctor how much time you should take off so you can make arrangements to accommodate for the PRP therapy session. When will I see improved results? PRP therapy does not show you results immediately, but it’s an extremely effective long-term solution for a variety of health conditions. Talk to your doctor about when you should expect to see improvements and what lifestyle changes – such as diet or exercise – he recommends to hasten the healing process. Will my health insurance cover PRP therapy? 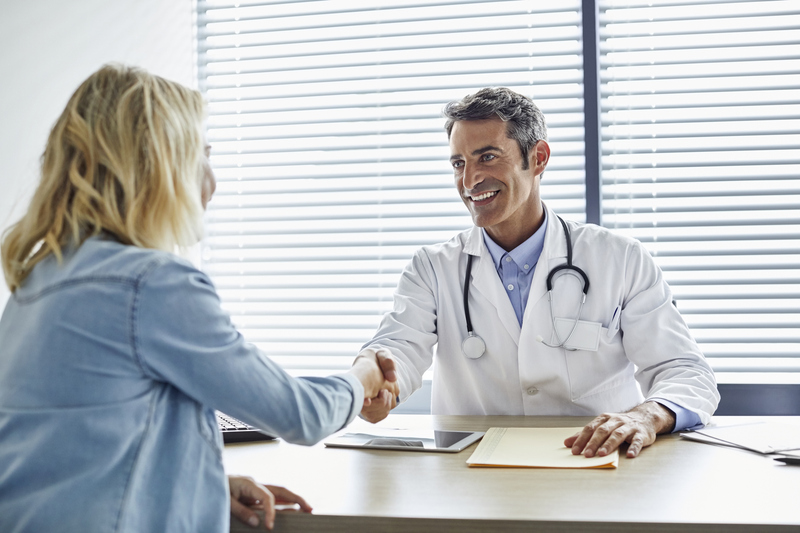 Whether you are covered or not depends on your medical plan; that’s why it is important to obtain pre-authorization before therapy gets under way. If your insurance does not cover PRP therapy, talk to your doctor about any payment plans or cost reductions offered for patients paying out of pocket. If you are interested in exploring PRP therapy or another treatment for your orthopedic condition, call Total Orthopaedic Care for an appointment today. Their experienced physicians can help you find the latest and most effective treatments for you. Call 954-735-3535 to make an appointment today.